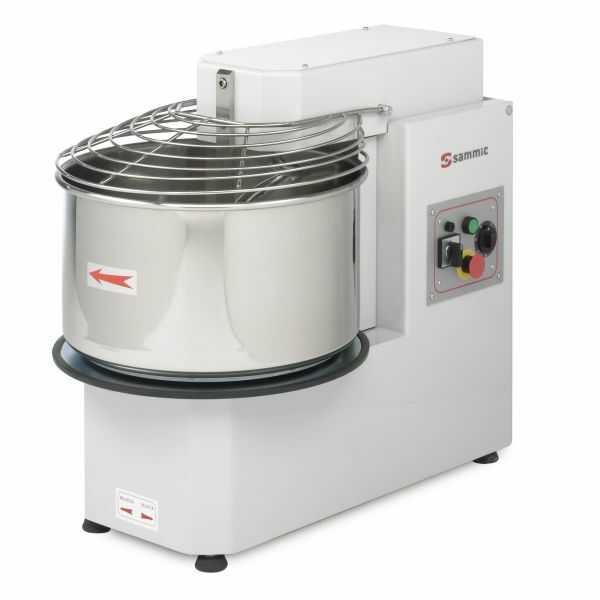 Commercial spiral dough mixer with 50 lt. bowl. 1 or 2 speed appliances available. Removable bowl and liftable head. Spiral dough mixer specially indicated for hard dough like pizza or bread. Scratch resistant paint finishing structure for extremely easy cleaning. All parts in contact with food are entirely made of stainless steel (bowl, spiral and rod). Capacity per operation: 44 Kg.